Rural Safety Coordinator of Fochville in Western Johannesburg, South Africa, Warrant Officer Jan Esterhuysen, has affirmed that five lions got away from an obscure haven in Gauteng Province on Saturday. 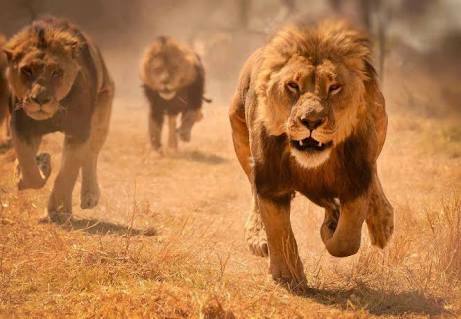 "We reacted to a misery call and were astonished to see a pride of five lions in a homestead at Fochville, caught up with feeding. We distinguished a large male and four littler lions. Tracking them around evening time was troublesome," Esterhuysen said. He begged residents living there, especially Nigerians inhabitant in the range to keep safe. "We have a sizeable Nigerian populace in the territory. We exhort that until further notice, they should avoid farms, parks and shrubbery on the grounds that the predators could be hiding there." he included.